This post is brought to you by BODYARMOR Sports Drinks. All Opinions are 100% mine! With summer here and the heat rising, many kids are starting summer sports and playing outside. Although, it is important to keep your children hydrated, I don't recommend sugary sports drinks as the way to do it! In addition to all the excess sugar they contain, they also have artificial colors, high sodium and other icky ingredients your children definitely don't need in their bodies! 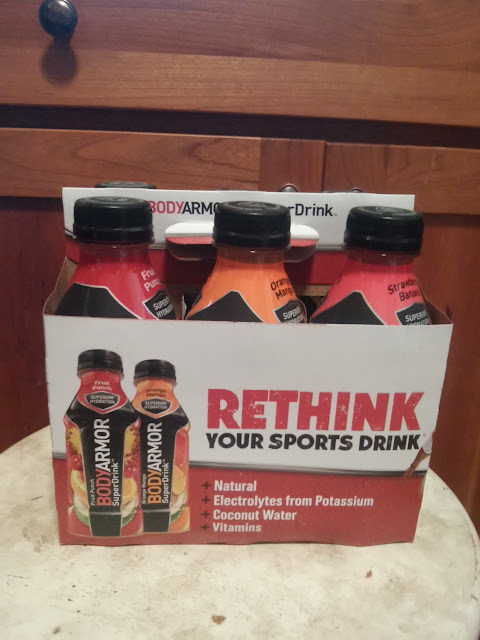 It’s time to rethink the sports drink and you can do that by replacing it with a healthier and safer alternative: the new natural sports drink, BODYARMOR. 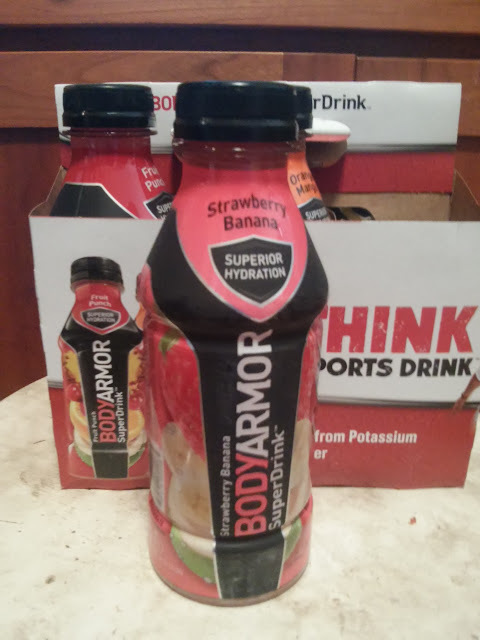 BODYARMOR has more potassium-packed electrolytes than any other sports drink, coconut water, and vitamins and is low in sodium and contains nothing artificial (unlike other sports drinks on the market). 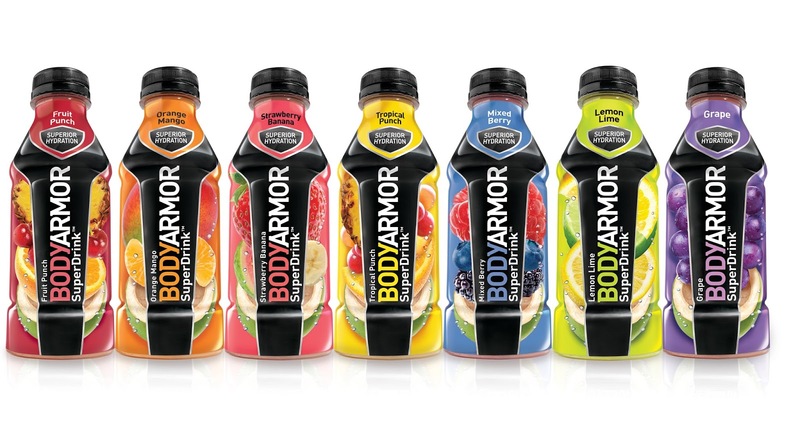 Many of the top professional athletes have chosen BODYARMOR over all other sports drinks, including Andrew Luck, Richard Sherman, Mike Trout and James Harden – and Kobe Bryant is a major investor in the brand. It is definitely time to rethink the standard sports drink you see everyone giving to their kids during the summer and during sports (or even drinking themselves!) and switch to a better for you sports drink! BODYARMOR is a natural sports drink with more potassium packed electrolytes, vitamins and coconut water. It is low in sodium and contains NOTHING ARTIFICIAL – unlike other sports drinks on the market. It’s a GREAT choice for young athletes especially, who don’t need all the extra sodium in their diets or the artificial ingredients that come from drinking other sports drinks on the market. BODYARMOR comes in 7-great tasting flavors: fruit punch, orange mango, strawberry banana, tropical punch, lemon lime, mixed berry and grape. They really are all delicious and fun flavors so even the kids will drink them! As a health care professional, a mom, and an avid athlete, I really LOVE that these are a great alternative to standard sports drinks. HAVE YOU looked at the ingredients on most sports drinks lately!??!! It is not pretty nor most of it comprehensible except for the bold artificial colors, high sugar content and high sodium! Next time you need to keep hydrated in the hot sun, switch to BODYARMOR. Your children are sure to find a flavor they love (and so will you!). I personally love the Strawberry Banana flavor and love even more when I look at the ingredient list and see all the vitamins included and COCONUT WATER! BODYARMOR sports drinks should definitely be the choice for hydration for your WHOLE Family this summer! Thank you BODYARMOR for caring about our children's health, our athletes, what you put into your products and for creating a safer way to hydrate!! You can purchase BODYARMOR sports drinks at many local retailers including Target, Meijer, and Publix! 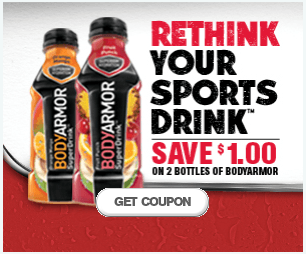 And make sure to go to this link and print off the downloadable coupon when you head to the stores to purchase and try out BODYARMOR sports drinks! !